Wishing you all an enjoyable holiday and a safe and healthy 2018. I will resume posting in January. P.S. Please revisit #1668a. I have revised the answer to include two exceptions. Surely if you make a practice swing at a ball and it is moved it then becomes the shot and therefore there should be no penalty and the ball is played from where it lies. Surely not. A practice swing is not a stroke – there was no intention to move the ball [Definition of “Stroke”]. A practice swing that accidentally moves the ball comes under the heading of “player causes the ball to move,” which is governed by Rule 18-2. There is a one-stroke penalty for accidentally moving your ball in play, and the ball must be replaced. This penalty does not apply to a practice swing on the teeing ground, as your ball is not yet in play. Thank you for correcting me. Sometimes reading all the rules is better than only the ones you think you need to know. Copyright © 2017 Linda Miller. All rights reserved. A friend of mine was playing a Match Play Tournament. He saw his opponent tee his ball in front of the tee markers and waited for him to hit the ball, which he did straight down the middle. Now my friend informed this opponent that he must re-tee because he teed the ball in front of the markers. His opponent wasn’t happy. I told my friend that that was unsportsmanlike and not in the spirit of the game. If he sees his opponent or fellow competitor about to break a rule, he should inform him and not wait until he gets a penalty. His response was “not in match play”. Since I couldn’t convince my friend that I was right, I need a referee to determine who is right. Thanks as always. I have searched through the rulebook and have not found any wording suggesting that good sportsmanship does not apply to match play. Indeed, it is encouraged in the very first section of the rulebook, under “The Spirit of the Game,” giving it priority over everything that follows. A player is morally obligated, whenever possible, to inform an opponent (or a fellow competitor) that he is about to breach a Rule. Deliberately withholding information that would save another player from a penalty (or a repeat tee shot) is, to me, unconscionable. It is not against the Rules to refrain from warning an opponent that he is about to proceed incorrectly; it is against the rules of good sportsmanship to do so. Let’s revisit the scenario, but change the narrative. This time, your friend notices the error and warns the player before he hits. What has changed? Now the opponent knows that the player is a good sport (as well as knowledgeable about the Rules). It has been established that the players will try to save each other from incurring penalties, the match will proceed amicably, and perhaps the two opponents become friends. Instead, by deliberately withholding information, the opponent now believes the player is out to “get” him, and the match becomes unpleasant and uncomfortable. Which type of match would your friend prefer? 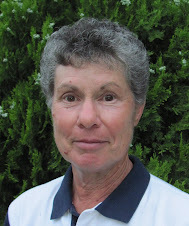 Ask Linda #1668-Move ball, don’t replace: How many penalty strokes? 1. Player makes practice swing at a “ball in play”; and ball moves. I am arguing that the penalty shots are compounded and a penalty of 3 shots should be added to score. Others say 2 penalty shots. The “others” are correct. When you accidentally move your ball in play and fail to replace it before you hit it, the penalty is two strokes in stroke play, loss of hole in match play. If you replace the ball before you hit it, the penalty is only one stroke. Please read the “Penalty for Breach of Rule” in the rulebook at the end of Rule 18. This answer is based on your statement that no advantage was gained. If the player’s practice swing had moved the ball to a more advantageous spot (perhaps out from behind a tree or significantly closer to the hole), his playing from a wrong place might be a serious breach. If he suspects a serious breach, he should play two balls and report the facts to the Committee before returning his scorecard [Rule 20-7c]. A 3-ball scramble: All three players tee off on a par 3. One player is on the green, which will be the ball to take. The other two golfers, instead of picking up their balls, decide to play them up to the green!!! Is there a breach of rules here please?? This is a tough question to answer, because scrambles are not addressed by the Rules of Golf. This is really a matter for the Committee to decide. In making their decision, the Committee should consider that when the other two players chip onto the green, they will learn something about the break and speed that they would not know if they picked up their balls and properly proceeded to the ball on the green. They will also have hit a practice stroke, which is not permissible under the Rules of Golf. I would recommend a penalty of some sort (again, a Committee decision). I would also strongly recommend that the Committee state, in the Conditions of the Competition (or in on-course instructions to the players), that players must choose the ball they wish to play and pick up the balls that will not be played. The Committee should further state that any player hitting an extra shot will be deemed to have hit a practice shot and will incur a two-stroke penalty under Rule 7-2. Alternately, the Committee might impose a rule stating that as soon as one of the players hits the next shot, that ball becomes the ball in play for the team and the other two balls must be lifted. My answer to this question is based on the USGA Handicap System. If you live in a country that does not use the USGA system for handicapping, this answer may not apply to you. I was wondering if I could prevail on you to answer two questions that came up in a best ball match today. I asked the pro down here in Florida and he changed his answer 3 times (he's a bit of an idiot). We were playing best 2 balls of 4 (3 Jills and a Jack). On one hole, I picked up when lying 5 on a green. It would have been a difficult putt and my partners were in better shape. They thought I had to record my max (8) and I thought I should record most likely score (7). Q: "Should a "most likely score" be recorded on a hole not finished in best ball event?" But it didn't indicate a rule number. Do you know where I can find it? On another hole, a par 3, we all teed off. My partners were in good shape, I went left on a hole that has a high fence to the left (about 20-30 feet from the fairway) and we all thought I'd find my ball. We did not find it and I did not return to the tee to hit another. Again I was told to take the max (8). My handicap, 22, gives me 1 stroke on the hole. I thought maybe I should take a 6. Appreciate your help if you have the time. I am always happy to answer questions about the Rules of Golf. 1. When you pick up on a hole, you must record your most likely score, which may not exceed your ESC score (ESC stands for Equitable Stroke Control). For a ball that is lying 5 on the green with a difficult putt, your most likely score would be 7. Since 7 is lower than your ESC of 8, you must record a 7. If you had been lying 7 on the green, facing the same difficult putt, you would record an 8, since your most likely score (9) would be higher than your ESC. 2. On the par 3, your most likely score would be a 6 – tee shot, one-shot penalty for stroke and distance, and an estimated 4 strokes to finish a hole where your handicap entitles you to one stroke. Again, the most likely score of 6 is lower than your ESC, so you must record the 6. Both of your answers were right on the money. You might try to explain to everyone involved that ESC is used when posting to lower a score on a hole where your actual score or your most likely score exceeds that number. You would never post a score higher than what you actually shot or were mostly likely to shoot. The reference for this information is not in the rulebook; this is because the rulebook is universal, and handicap systems differ from country to country. The source for handicap rulings in the U.S. is The USGA Handicap System. You may access this manual online at usga.org under Handicapping. For the Rule that applies to your questions, please read Rule 4-1 (“Unfinished Holes and Conceded Strokes”) and Decision 4-1-1 (“Explanation of ‘Most Likely Score’ for Holes Not Completed”). However, please do not confuse relief from casual water in a bunker with relief from an unplayable ball in a bunker. While the flagline relief with a one-stroke penalty is available for interference from casual water, it is not a relief option for a ball you wish to declare unplayable. The only way to take relief outside the bunker for an unplayable ball is to play under stroke and distance, which means playing it from the spot where you last played the ball [see Rule 20-5 for whether to tee, drop, or place the ball]. There is no flagline relief for an unplayable ball in a bunker. Recently on my tee shot to a par three the ball plugged into a sloped area of the green. After marking the ball and repairing the mark, I tried to replace the ball to attempt my putt. The ball would not stay in the original position. What are my options? Do I allow the ball to roll and play it from its new position? Also, there would be no position not closer to the pin on the putting surface. Thank you for your blog and your help on this ruling. After your failed second attempt to replace the ball on the putting green in front of your marker, you must place it at the nearest spot that is no closer to the hole and is not in a hazard where the ball will remain at rest [Rule 20-3d (i)]. If the spot that meets these requirements is not on the green, you will be placing your ball off the green.